My latest for Wired just dropped. 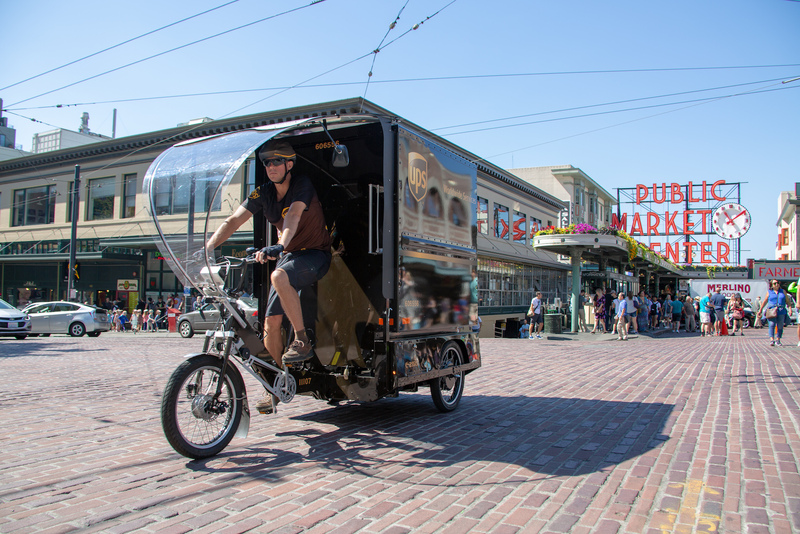 It’s about how UPS launched an electric cargo bike solution to address Seattle’s traffic and air quality problems. And, to deliver their customer’s packages on time despite armageddon-level traffic. 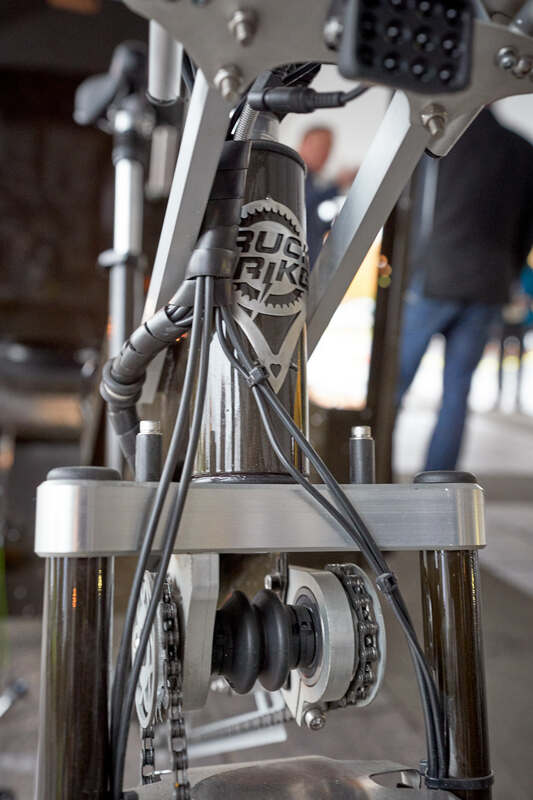 What you need to know about the UPS eCargo bike in Wired is you can buy one too. Or one similar to it like the Tern GSD or Radpower Wagon. When I attended the launch event at their Seattle SoDo Hub, I learned UPS is piloting their e-assist program for a year. They’re timing it for Seattle’s Period of Maximum Constraint. That ominous sounding constrained time hits on February 4, when the Alaskan Way Viaduct elevated highway along the waterfront is torn down and the 2-mile tunnel Seattle dug to replace it comes online. Crews are finishing the ramps that connect the tunnel to surface roads. For three weeks, the city won’t have a road to get through downtown on the city’s waterfront side. To dodge the traffic horrorshow, Seattleites are planning vacations. They’re renting Airbnbs to stay downtown and avoid driving, or planning to work from home. They’re also riding bikes. Bike messengers have long known cycling is the fastest way to get around a traffic-choked city. More and more commuters are getting it. The UPS trikes were designed and built by Truck Trike in Portland. A trike like UPS is using costs upwards of $10K, while the GSD is about 1/2 that, and the Radpower Wagon even less. If you need to move your kids, packages, or just your laptop to work and back very soon, an electric cargo bike is gonna be the way to go. If not for the ease of moving around a gridlocked city, but finding parking. As I shared in the Wired story, the execs at the event emphasized how important launching the e-assist trike in Seattle is because 111 years after their founding as a messenger company, UPS is going back to bicycles. That’s how they got started in Seattle.